Add style and a functionality with this rectified and high definition porcelain. 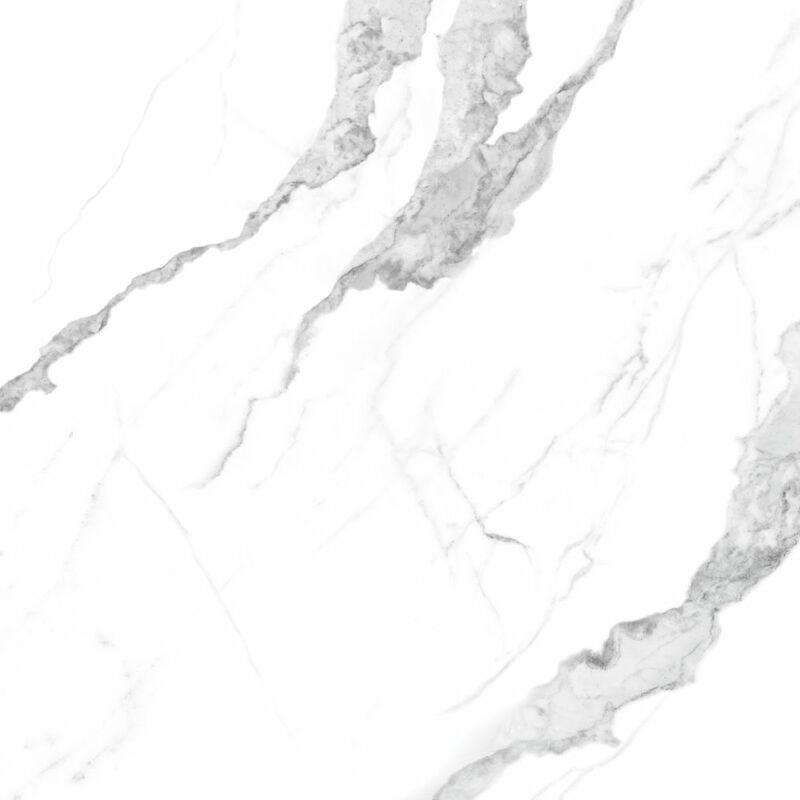 The beautiful and subtle marble tones, highlighted with crisp whites and grey tones. Achieve a high value look to your home at a great value! This 2 in. x 2 in. basketweave porcelain Ivory matte mosaic tile is the perfect compliement to any home. The matte finish provides consumers with a textured design that assists with anti-slip functions, while the through body manufacturing allows for the tile to be same colour all the way through the body. This porcelain tile offers the much sought-after look of white marble while being beautiful, it is also easy to care for! It's matte finish, rectangular shape and rectified edges make this tile a homeowners dream. Use it as kitchen backsplash tile or to create a head-turning accent wall. In the bathroom it can complete a shower surround - transforming ordinary baths into extraordinary ones. Due to its resilience, this Statuario porcelain tile is also suitable for light commercial applications on the floor or wall. Transform your home into a tribute to retro design with the Enigma Tile Metro Loft White Porcelain Arabesque Mosaics Tile. This time-tested, arabesque mosaics is a throwback to traditional retro design. Glossy white arabesques are precisely arranged on an interlocking mesh to create a seamless installation. This glossy ceramic creates a distinct pattern for various install projects in bathrooms, kitchens and other residential or commercial spaces. MS International Pietra Bernini Carbone 12 inch x 24 inch Porcelain Tile boasts a unique vein cut travertine look with faux fossilized veining. Gray tiles are extremely popular and this one in no exception - its one-of-a-kind detailing lends a refined, modern edge to any project. Revered for its versatility and durability, this rectangular polished tile is a top choice among homebuilders and designers, who trust it for a variety of light commercial and residential applications. Whether it's used in the kitchen as countertop or backsplash tile or in the bathroom to create a spa-like shower surround, this hard-working travertine look tile puts a new spin on neutrals. This is a rectified tile, mechanically finished on all sides to achieve uniformity. Its precise sizing allows for a thinner grout joint, which results in a clean, professional install and reduces staining issues. Multiple tile sizes and accessories are available to give your project a finished look. 24-inch x 24-inch Mayfair Statuario Venato HD Polished Rectified Porcelain Tile (15.5 sq. ft. / case) Add style and a functionality with this rectified and high definition porcelain. The beautiful and subtle marble tones, highlighted with crisp whites and grey tones. Achieve a high value look to your home at a great value!